Manufactured from ABS Techno-polymer, which is a strong and light weight material. CE-TEK’s GR range of fantastic low cost, halogen free ABS polymer consumer units are suitable for housing electronic and electrical equipment. The GR modular range comprises of two series of modular enclosures suitable for housing between 2 and 24 MCBs indoors (to IP40) or outdoors (to IP65) and are highly popular with electricians, OEM’s, commercial/domestic building organisations and fit-out businesses. 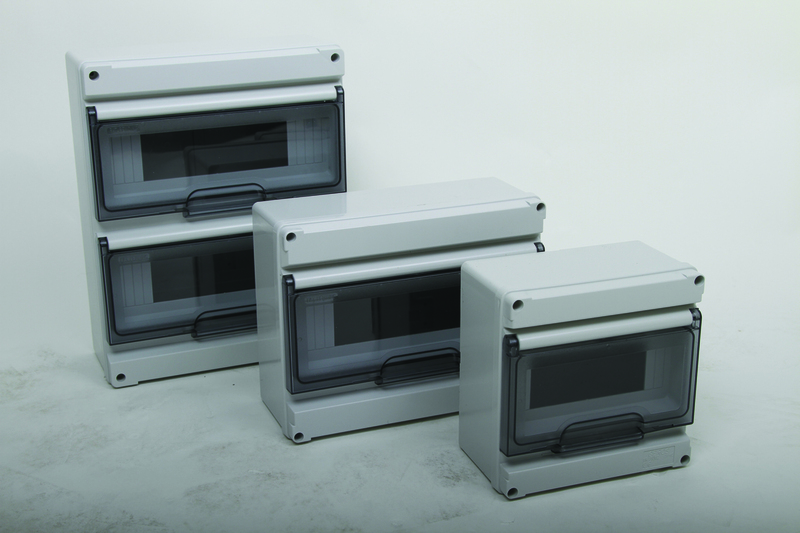 GR modular enclosures are equipped with horizontally mounted transparent doors and available from stock. Optional extras include: wall fixing brackets and DIN rails.